Recently I read a blog post by the lovely Von Monsta. It was about a collaboration she did with Demonic Dolly. They both had such a inspiring outfits, you would say they were both ready for a vampire ball! 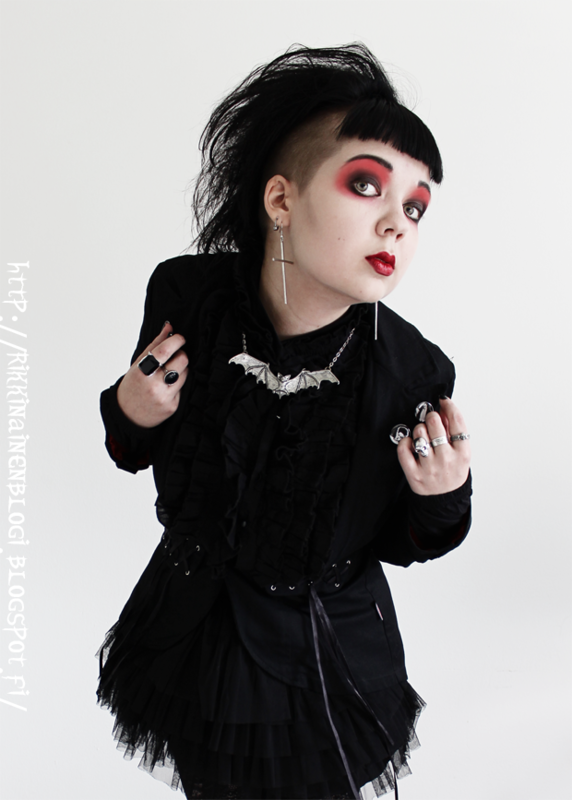 And so, I got inspired to make my own vampire ball outfit today. The outfit I threw together isn't you'r typical ball attire, but I wanted it to represent me after all. I have seen pictures on the internet of actual vampire ball's. It's just a dream for me, they don't throw things like that here in Finland. Too bad. In all my vampire related excitement recently, I have started to read the Bram Stokers Dracula again. This time it's in the original English and I'm super happy about that! Everything sound so much worse in Finnish. Now then! 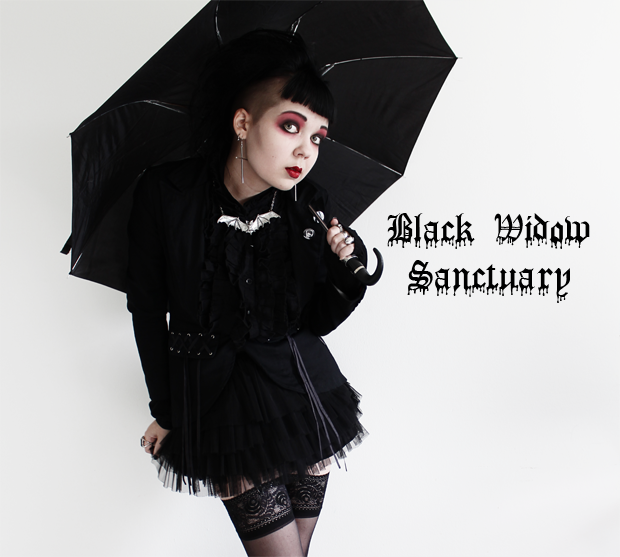 I will challenge all of you other darklings to create your very own vampire ball outfits! Awesome! We don't have vampire balls where I live T-T it's sad really. I might be sewing a dress worthy of a vampire ball though, is kind of medieval inspired. This is so beautiful and I love your take on a vampire ball, thank you also for linking my blog! Is it okay if I put together a vampire ball outfit too? Lady, you're a big inspiration for me, and I really love all your outfits! this not could be diferent, is gorgeous!